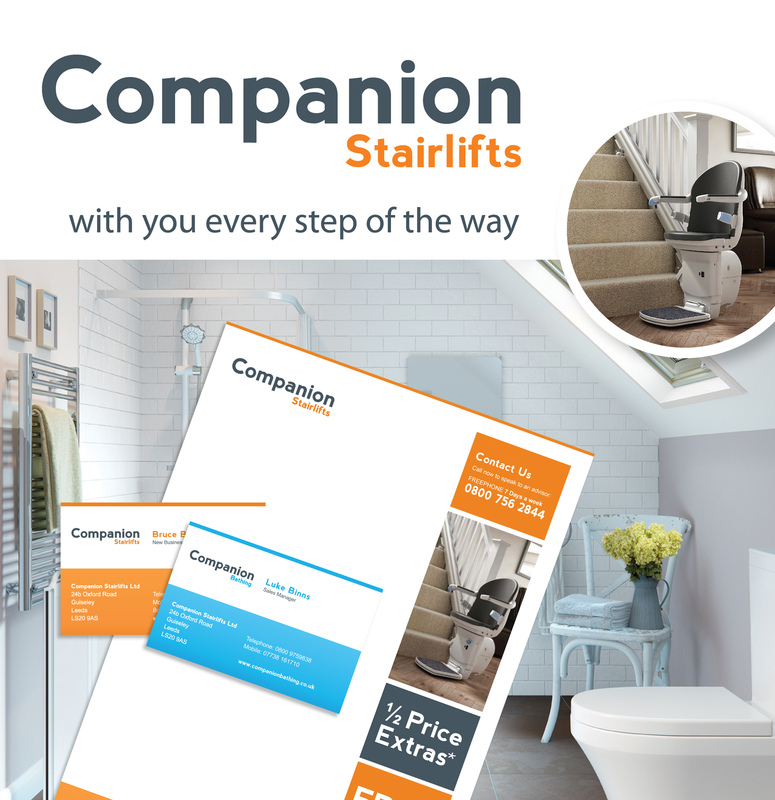 When Companion Stairlifts got in touch with us, their logo was really outdated. They requested 2 new modernised logos. One logo representing their stairlifts range and the other representing their bathroom range. Companion wanted to achieve a family friendly design across the 2 brands. Challenge accepted! A whole new look for the Companion brand was needed for their rebranding project. Using bright colours and contemporary typefaces too, we transformed the whole look of Companion. As a result, we came up with a fresh new identity, which modernises the whole Companion brand keeping in line with other brands in their competitive market. The logos are now in use across all of their marketing materials. This includes both websites and all printed materials too, which Hive have also created. Take a look at the website design project for Companion here.